A Facebook business page seems like business 101 for a photographer these days. You start making pictures for people, then immediately start a business page and load it with pictures and promotions. But there’s one thing you must do in order for your page to be successful. ‘Like’ has become such a funny word in the era of Facebook. But you need people to like your business page so that they can see your promotions and know that you’re the ideal photographer for their family or business. And just like everything in the social media world, we are hugely motivated by those likes. So you invite everyone you know to like your page and you frequently invite folks again, especially new Facebook friends — just in case they don’t know you’re a photographer. Many times, your new friends include photographers you recently met at a conference. 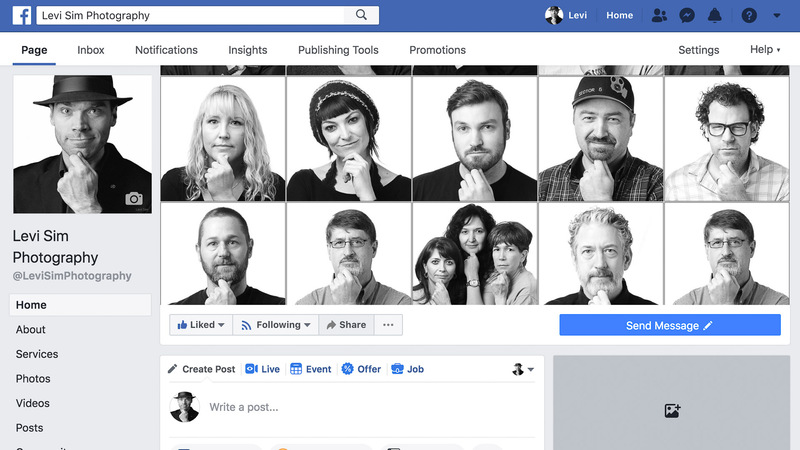 I meet loads of photogs each quarter and we connect on Facebook — it’s a great way to help each other remember the things we learned and get motivated to make changes in our businesses. But you should not invite these new friends to like your business page. Facebook makes money by selling advertising and they have a pretty good way of getting in front of people. I constantly see ads related to me on Facebook, and they would love to have you buy promotions with them, too. In fact, they’d like it so much that unless you pay for promotion, only up to 6% of your followers will even see your posts, and it goes down the more followers you have. You’ll see when you do pay for promos that you get stats back about how many people were reached. I’m not saying that you shouldn’t use Facebook for promoting your business. It could be a good place to spend some marketing money. My point is more basic. If you’re paying to have people view your posts, do you really want those people to be photographers? Do you really think that I’m in your target audience? No way! Photographers are cheapskates — we don’t hire someone to make pictures for us: We offer to trade. You make pictures of my family, and I’ll make pictures of yours. You and I know people who seem to use their Facebook business pages effectively, and it can certainly be a good place to get people looking at your work and remind them that you’re for hire. But inviting a ton of photographers to like your business page is probably throwing away marketing opportunities because photographers are not your target audience. So, get out there are find potential clients to market to. And while you’re at it, please like my business page.